1. 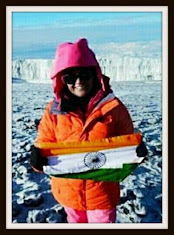 Topper KR Nandini is an Indian Revenue Service (Customs and Central Excise) officer. She was selected to that cadre in 2014, and is currently undergoing training at the Faridabad-based National Academy of Customs, Excise and Narcotics. 2. For the third year in a row, a woman candidate has topped the civil services examination. In 2014 examination, the topper was Ira Signal and in 2015, it was Tina Dhabi. 3. For this year’s topper Nandini, who hails from Karnataka, it was her fourth attempt. 4. But more men figured in the list of successful candidates. In a list of 1099, as many as 846 are men and 253 women. 5. Among the top 25 candidates, 18 are men, seven women. 6. The optional subjects of the top 25 candidates include electrical engineering, mathematics, history, political science, economics, anthropology and veterinary science. 7. Anmol Sher Singh Bedi stood second. He tops among the male candidates. This computer engineer is a product of BITS, Pilani. 8. Bedi put IFS as his first preference. It was his first attempt. 9. 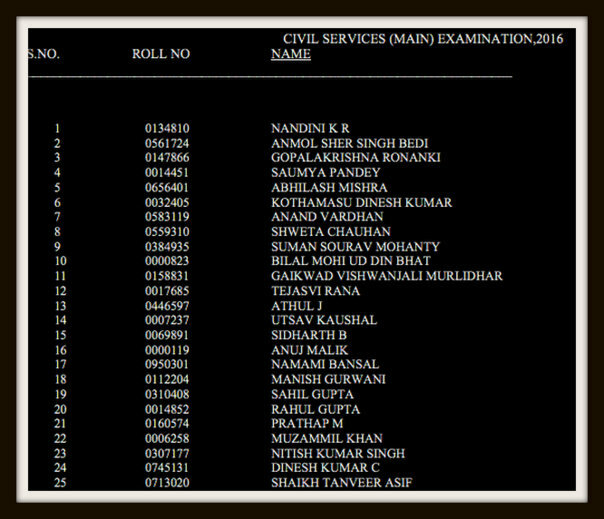 In the list of successful candidates, 180 were selected for IAS, 150 IPS, 45 Indian Foreign Service (IFS) and the rest being Group “A” and Group “B” services. 10. The selected candidates include 44 in PH (physically handicapped) category. Out of them, 22 are orthopedically challenged, seven visually challenged and 15 with hearing issues.